Do Quitting Smoking Treatments Really Work? With so many quitting smoking treatments available, you are spoiled for choice when it comes to giving up cigarettes and other tobacco products. If you’re a smoker, it doesn’t matter how long, quitting smoking is the healthiest thing you can do for yourself. You’ll immediately be adding years to your life, and quality to all of your years. So when you make the choice to quit never look back, and use this guide as a way to help you narrow your choices down to a select few. For several decades people didn’t understand the dangers of smoking, and it was considered socially acceptable. Evidence for this is found in black and white movies showing people openly smoking in restaurants and homes, even on airplanes. But nowadays everyone is well aware of the health risks of smoking, and it’s getting harder and harder for smokers to find a place to light up. Most restaurants have gone smoke-free, and nearly every other indoor location is off limits. More and more cities and counties are becoming entirely smoke-free, meaning you can’t even smoke in bars and clubs any more. We’re here to help you make heads or tails out of all of the different types of products out there, and which ones are the most effective. There are many different types of anti-smoking products out there, the most common being prescription drugs from your doctor, followed by all-natural remedies, as well as what’s known as homeopathic remedies. Smoke Away claims to be America’s number one remedy for quitting smoking, and they back it up by stating they’ve sold millions of kits. They also back both of these up by offering a guarantee that their product works, and that’s it’s safe to take as well. One thing we liked about their program is that it’s multi-faceted. They hit the problem not just at the physical addiction level, but also at the psychological level as well by including supportive audio and a booklet to read when you need reassurance. But was that enough for it to gain our full recommendation? Find out! 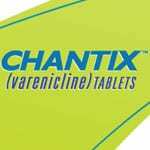 Chantix is a prescription medication manufactured by Pfizer that comes with a host of possible side effects. The list is so long that their advertisement for the drug is mostly taken up by the warnings. What is surprising is not so much that this drug passed the FDA screening process, but that it isn’t very successful at getting people to quit smoking. You’d think that if a drug had so many hazards to it, it would have to be very effective or people wouldn’t be tempted to try it. Somehow though, it seems people are still giving this a go. Zyban is a smoking cessation medication manufactured by Glaxo that comes with its fair share of warning labels. In fact the FDA cracked down on it and makes it display additional warnings right on the packaging. This is because the kind of side effects people have been known to develop while using this drug are rather severe. The side effects can include things like thoughts of suicide and other signs of depression, even erratic behavior. These are potentially more damaging to your body in the short term than smoking, so you have to really weight the pros and cons to taking something so powerful. Just like the name implies, Zero Nicotine is a nicotine-free stop smoking product that promises not to use the problem as the cure. Those that have had success with a nicotine containing product will eventually have to ween themselves off of that as well. It’s best to start with an all-natural product so you can be free of both cigarettes and nicotine at the same time. 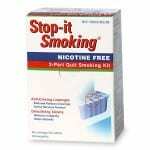 Stop-It Smoking is a homeopathic remedy designed to get you to be able to quit, without using nicotine, and without using any other harmful substances. Homeopathy is, by nature, all-natural but it goes a step further and dilutes the active ingredients. This means that it’s highly unlikely you’ll have any negative side effects, or any side effects at all. The topic of homeopathic treatments is wide open for speculation, and you either have to hop on board with it or reject it entirely. There’s not a lot of middle ground with it. Find out what our recommendation is when you see our full evaluation. Smoke Deter is a homeopathic remedy that promises to cure your addiction using no chemicals, and only all-natural ingredients. This would appeal to many of us that want to avoid the dangerous side effects of prescription medication, but it has to work or there’s no point in taking it. We went to great detail to see just what homeopathy entails, and what the philosophy is behind these types of quitting smoking treatments. Find out what we uncovered about this product, and whether or not their claims are justified. Hypnotherapy is considered an alternative treatment because it doesn’t use any drugs or other substances, and also because it has not been accepted by modern medicine as a valid therapy. The theory is you can have a hypnotherapist “trick” your subconscious into not wanting to smoke anymore. It would be great if we could just relax our mind and let someone turn off the switch that gets us to smoke, but it hasn’t been shown to produce any measurable results. Of course, it matters whether or not you believe in this, and can let your guard down enough to be hypnotized in the first place. Going It Alone: Is There Are Even a Need for Quitting Smoking Treatments? Many ex-smokers got that way on their own from methods like simply going cold turkey. There’s no requirement that you need to speak with your doctor or take anything in order to stop smoking. Some people just stop. 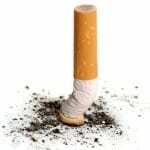 In fact, the majority of successful ex-smokers quit on their own without taking quitting smoking treatments of any kind. The reason cold turkey doesn’t get much press is because companies can’t make any money selling a cold turkey remedy. But the numbers don’t lie. When compared to pharmaceutical drugs, the percentage of people that report being successful at quitting is far greater for cold turkey users. Up to 75% or more say that they successful quit for the long term using a cold turkey method, while only 25-50% of users that take prescription drugs report success. Allen Carr has helped many celebrities kicked the habit with his book called The Easy Way to Stop Smoking. Many of his philosophies on quitting smoking are unique and make a lot of sense. For example, he says smokers are just trying to get to the point of feeling how non-smokers feel all the time. That’s why they reach for their next cigarette, they are filling the low from their last cigarette and just want to feel “normal” again. Definitely check out his writings if these sort of philosophies resonate with you. Joel Spitzer advocates only one method for quitting smoking and that’s going cold turkey. He doesn’t believe in any other way including using any aids or drugs, or even cutting back until you quit. He doesn’t charge money for any of his literature because he feels that quitting smoking should not cost you any money. Many of the points that he makes seem valid, and have statistics to back him up. It seems that one method that would work is a long-term attempt to gradually cut back on the number of cigarettes you smoke until that number reaches a low enough threshold that you can stop completely. By giving the body time to adjust to these new, lower levels of tobacco and nicotine in the system you should increase your ability to give it up completely at some point in the future. 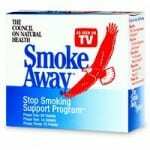 In fact, this method has been shown to be just as effective by itself as when combined stop smoking aids. However, it is still not as effective as just giving them up cold turkey. Regardless of how you feel about alternative medicine it can’t be ignored that you been in picking harmful substances for however long you been smoking. This makes the body more toxic, and anything that helps you get rid of these toxins should therefore help you get over your addiction and dependence on smoking. Simple things like sweating in a hot sauna, getting an ionic foot treatment, acupuncture, and aromatherapy can all be healthful. You can also clean out your colon to free yourself of backed up waste, and do a liver and gallbladder cleanse to get rid of gallstones that will reduce your body’s ability to be 100% healthy. Look at this time in your life as a big change, and take other positive steps to be better to your body than you were before. Meditation and yoga may also help you calm your mind and get a better perspective on your quitting smoking efforts. The beauty of alternative treatments is that they’re typically free or low cost, and can easily supplement your other efforts in a combined and focused approach. The majority of smokers that try to quit end up failing at least once, and in many cases several times before they’re able to succeed. It’s a strange notion that you have to know in advance you’re probably not going to be successful. This isn’t defeatist thinking, but just being a realist. It’s a hard thing to do, and to stay on with. Regressing back to smoking again, or relapsing all the way back to the worse that you were, or even a new low, is completely natural. By knowing the odds and knowing what’s in store, you get the edge. You can now take the pressure off of having to succeed your first, second, or third time around. All that matters is that you keep trying to quit, because even the attempts create their own health benefits. Anything that shakes up the status quo and gets you to smoke a smaller cumulative amount of cigarettes is a step in the right direction. Ask your non-smoking friends and family to support you in your quest to quit smoking. Announce it on your social media profiles and ask people to keep on top of you. Sometimes we need that social accountability to make sure that we stay on track. It can be embarrassing to get caught smoking when everyone you know knows you’re trying to quit. It can also be heart-warming when you see how many people really cheer you on. Just knowing that people care goes a long way toward getting serious about staying cigarette free. Having a solid support group is crucial. It will remind you why you’re quitting. Seeing the positive reactions of people that can now eat a meal with you in a restaurant without getting left at the table while you go outside to smoke, or don’t have to sit next to someone that reeks of nicotine and cigarette smoke in a confined office setting, can keep you on track. Although it seems that in this day and age we should have a drug to take that makes it so you can stop smoking easily. But at this juncture all that exists are volatile pharmaceutical drugs with a laundry list of possible side effects and dangers associated with them. These are best avoided because in addition to having so many adverse reactions, they also have very low efficacy rates. You should also avoid any product that doesn’t provide detailed information about the ingredients it contains. This information should contain an explanation of why it is being used and which specific symptoms it is intended to treat. There are many companies out there that like to restrict the sort of information to just the bare essentials, and that states the reason why certain ingredients are included. We recommend that you “burn the ships” when it comes to quitting smoking. This quote refers to armies that would burn the ships they came in on because there was no going back. This battle is going to be won, you’re going to fight it until the day you die but there is no going back to the way you were before. Once you have this level of conviction nothing can stand in your way for long and you’ll soon get this monkey off your back and reap all of the healthy benefits. Trust Your Instincts – While reviewing different smoking cessation treatments, there will be some that speak to you on a gut level. Give those a try first. You can lose quickly get frustrated with information overload that comes from reading all of the product descriptions, features and benefits of all the different products. It can get so bad that you might just want to give up looking and stick to your old ways. Don’t Give Up Giving Up! – This search is about trial and error and trying to pick as wisely as possible. But you can’t get every choice right, so it’s important to just keep trying even if you failed many times before. It could be that the cure that finally works is just around the corner. The more you try the better you get at identifying things that aren’t going to work. The health benefits can’t be ignored, so giving up really isn’t an option. Just remember to go easy on yourself even through the tough times. Trying to quit and failing can be hard to recover from but it’s better than not trying at all. When you suffer a setback don’t let it undermine the broader goal of becoming smoke-free. Best of luck to you, and we’ll do our best keep reviewing quitting smoking treatments to guide you on your journey.